"A defeat of Cardiff would have the added bonus of inflicting a potentially mortal wound on the likeliest team to occupy the last remaining relegation spot." 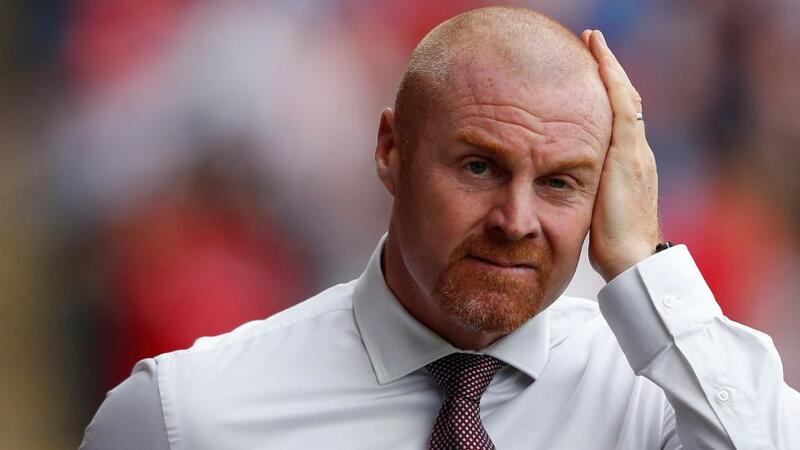 A pair of consecutive wins have given Burnley a handy cushion in their battle to beat the drop but there'll be no slacking for Sean Dyche's side this weekend. Put simply, after Saturday's clash with Cardiff, the fixture list looks nasty and the Clarets will be desperate to make it three wins on the spin. Because a final four fixtures consisting of Chelsea, Everton, Manchester City and Arsenal could well yield a total of zero points. And a defeat of Cardiff would have the added bonus of inflicting a potentially mortal wound on the likeliest team to occupy the last remaining relegation spot. So I think the [1.95] on Burnley winning this is a decent price. One look at their home record doesn't inspire confidence but you can almost split the season into two with the Clarets' record at Turf Moor - until December they'd only won once in front of their fans but have taken maximum points from five of the 10 played since then. With all key players fit I expect Burnley to edge a tough encounter and gain the win they crave. Southampton go into this crucial home game having won three of their last five, including a home win over Spurs while they performed very well in their two defeats in that sequence - to Liverpool and Manchester United. So I have no worries about the current form of Ralph Hasenhuttl's men and I believe they're a great price to beat inconsistent Wolves, for very much the same reasons that I backed Burnley to beat Wolves a fortnight ago. Nuno Santo's men have a terrible record against the bottom-half teams having lost twice to rock-bottom Huddersfield this season, as well as Burnley, Cardiff, Brighton and Crystal Palace, and even failed to beat hapless Fulham. And let's not forget that they go into this game following a heartbreaking extra-time defeat to Watford in the FA Cup semi-final last Sunday, a game in which they led 2-0 and really ought to have won. Wolves will do extremely well to immediately bounce back from that defeat and I'm confident that the Saints will go a long way to securing their Premier League safety with a victory here. I was planning on a correct score dart in this one, backing Liverpool to win 2-1, but after having a play on the Same Game Multi options have plumped for a Reds win with Eden Hazard scoring a consolation for Chelsea. The Blues have got a very good recent record at Anfield, unbeaten in the last six league visits and a winner in the EFL Cup earlier this season, but Liverpool have been in imperious form at home (unbeaten in 37) and I think they'll have too much in the end. Maurizio Sarri's men are in relatively good nick, with three wins on the bounce, but they have lost their last five against the 'big six' and the Reds should be able to get another vital three points. If Chelsea are going to score, it's likely to be Hazard that gets it - the Belgian has netted four in his last five and will be in confident mood after his wonder-goal against West Ham.